The ‘friendly fire’ piece of the story was only revealed this morning. As soon as I heard it all I could think about was arming teachers. There was a tragic incident this past weekend in SoCal. An argument between a 28 year old man and his grandmother spiraled out of control. He shot her seven times, grabbed her car and headed out. The chase ended when he crashed the car and ran into a crowded Trader Joe’s supermarket. Briefly, a gun battle ensued. Thankfully, the perp retreated, began talking with the cops on his cell phone and three hours later surrendered. 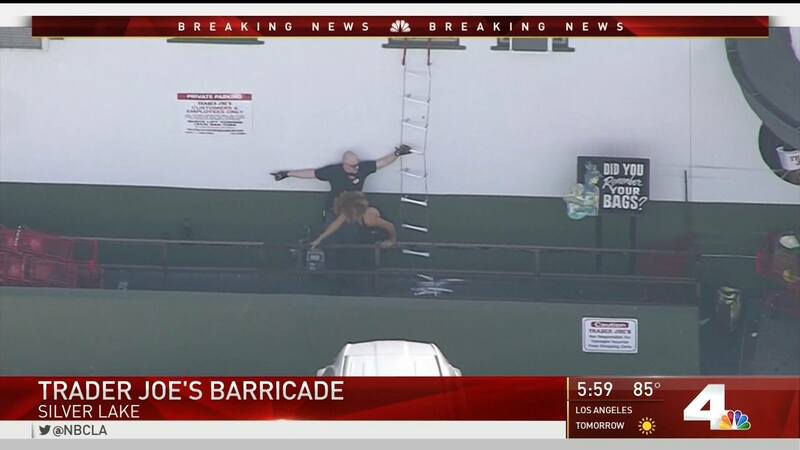 We got to watch Trader Joe employee “Sean” help fellow employees escape through a bathroom window. During the crossfire a woman was killed. She was shot by a cop. This is the responsibility of the perp, but that doesn’t make this any less tragic for the woman killed nor the cop who mistakenly killed her. It’s a terrible story. Justice cannot even the scales on this. Even police, well trained in the use of their weapon, sometimes get it wrong — especially when the situation is one of mayhem. I can’t imagine how arming teachers could end well. NOT want the responsibility of guns in school. There has to be a better way! What we need is less guns particularly assault weapons in the hands of people. Arming teachers is a ridiculous thought and you, Geoff, just articulated why. Living thru Sandy Hook 5 years ago was heartbreaking. That town is still trying to recover. We have the well armed militia mentioned in the second amendment. It’s called the National Guard. Lunatics shouldn’t have military weapons nor do “normal” people need them.